Don't take on Adwords alone. Let our team take the wheel and get you a bigger return on your advertising dollars. Fantasy Web Design™ is a certified Google Adwords company. Our team has detailed knowledge of how to set-up and run a successful campaign for your business. Using Google Adwords or other pay per click (PPC) marketing allows you to pay to be at the top of search results. This creates a valuable opportunity to drive instant traffic and gather valuable data that can compliment your other marketing techniques. Adwords management starts with the tedious process of finding the keywords that will result in traffic that fits your demographic. Not all traffic is good traffic! The more targeted your traffic is, the more likely it will result in a conversion. After you keyword research is complete, our team will go to work creating your ad campaigns. This includes creating groups of keywords that will go with specific ads that are relevant to those keywords. Results are better when your ad matches your keyword. If you have a pet shop and your keyword is "dog food", you will want your ad title to say "Dog Food" and not "Pet Shop". Google Adwords is very technical. To learn more about it, set-up a meeting with our team. Pay per click (PPC) advertising is the process of paying a fee each time a user comes to your website from the advertising platform you are using. It basically allows you to generate traffic to your website without having to earn traffic via organic visits. Do You Take a Portion of the Budget? No, we do not take a portion of the budget. We will invoice you for the budget, but that money goes directly to Google Adwords or the appropriate PPC provider. We will provide you with receipts of the amount spent at the end of each month. The initial set-up of an Adwords campaign will vary with how large the project is. It generally can be completed in about two weeks. On-going set-up will continue as data comes in and new opportunities are discovered. The process is always fluid. Your ads can show in several places depending on what kind of campaign is set-up. For "Search Network Only" campaigns, your ads will show along side organic search results. For "Display Network" campaigns your ads will show on sites across the web. What is an Adwords Certified Partner? Google Adwords certification is an accreditation google gives to companies that can prove proficiency in managing Adwords accounts. To obtain the certification, the company must take a series of test on each aspect of marketing with Adwords. There is not much value in running an Adwords campaign if the budget is less than $500 per month. The reason for this is that you need enough clicks and actions to compile data. The data is then used to determine the positives that need to be expanded. The nice thing about Google Adwords is you don't have to wait for results. Once a campaign is set-up you will immediately start to see traffic come to your website. It does however take at least three months or longer to optimize for cost and efficiency. What if I Have an Existing Campaign? 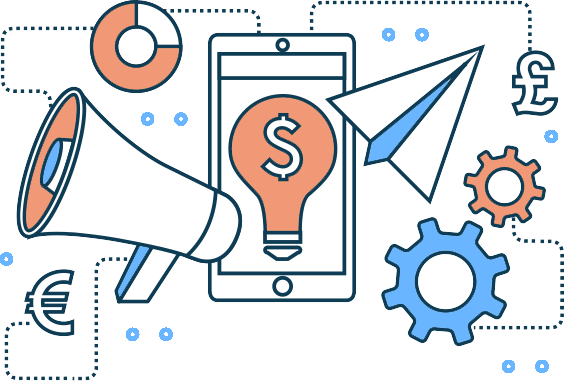 If you or a company you hired already has run a PPC campaign in the past, we will generally study it to see if there is any valuable data. We will use the data, to determine what was working, when developing a strategy for your new campaign. Measuring your return on investment is important for determing the success of a campaign. We use conversion tracking to see what ads and keywords are performing the best. You will get a monthly report that details the progress that is being made.